After the February 14 shooting at Marjory Stoneman Douglas High School in Parkland, Fl. left 17 people dead, the national conversation about gun laws picked up again. But instead of being directed by politicians, many who have offered "thoughts and prayers" but no policy solutions, the high school students who survived have used their social media to lead the conversation. The high school aged kids spoke on major news outlets, held press conferences, and now they are planning their first action to advocate for stricter gun laws. The Florida shooter used a semi-automatic rifle, the AR-15. At the age of 19 he was able to purchase the weapon legally, despite the fact that he had been reported to the FBI and had a history of behavioral issues at Marjory Stoneman Douglas High School. 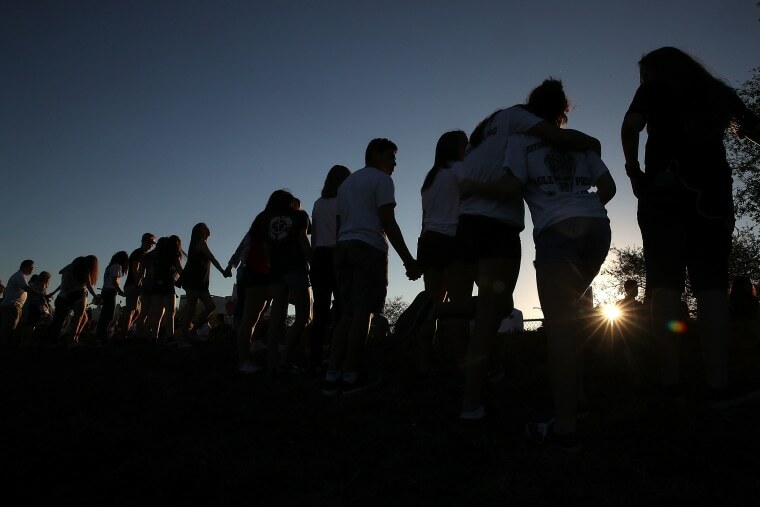 Students of the school and survivors of the shooting, like Emma Gonzalez, Jaclyn Corin, Delaney Tarr, and Cameron Kasky, have come together to organize a nationwide walkout in protest of the government; namely officials who receive money from the NRA and fail to introduce or vote for policies that would allow for more gun regulations. According to TIME, they will first meet with Florida government officials in the coming weeks before leading a march on Washington on March 24. The action is called "March For Our Lives" and the website states their mission is to prevent any more school shootings. According to the teens, who gave interviews to several major news outlets on Sunday morning, the walkout will happen at schools in every major city in the United States. "March For Our Lives is created by, inspired by, and led by students across the country who will no longer risk their lives waiting for someone else to take action to stop the epidemic of mass school shootings that has become all too familiar," reads their mission statement.